PUG PARTY at Chicago Party Animals Tomorrow June 1st! In preparation for Saturday's annual pug party here in Chicago, we thought it would be a good idea to change up our normal Fotio set-up to make it a bit more pug friendly. Since we have a free-standing open air photobooth, we decided to assemble a kind of "pug pedestal" for the animals to rest on while we photograph them. Our dog, a Manchester Terrier, was nice enough to do her best pug impression for us while we tested out new Fotio heights and lights. Our goal was to switch our normal human friendly set up for something that would capture some serious pug personality instead. We hope they like it! The Party is from 12:00-5:00 at Chicago Party Animals at 1133 W. Fulton Market. Visit pugparty.com for more info! A picture of our black and tan Manchester Terrier licking her nose! 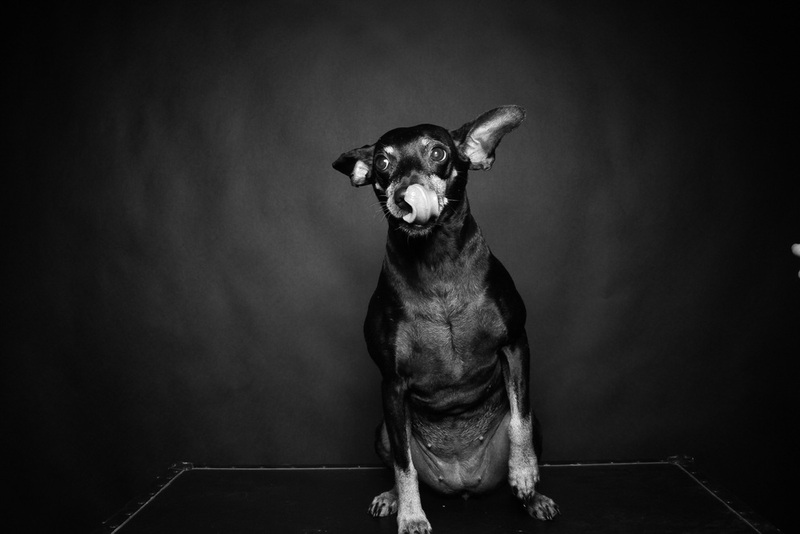 Portrait of a Manchester Terrier.